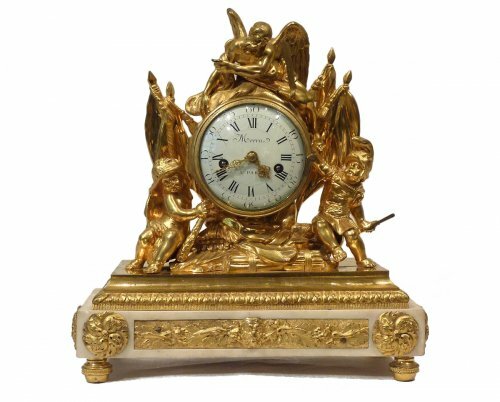 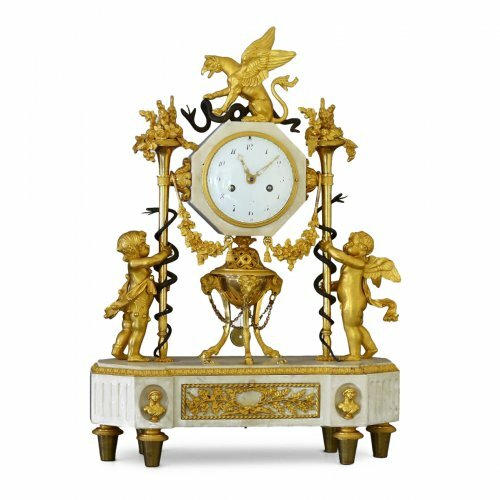 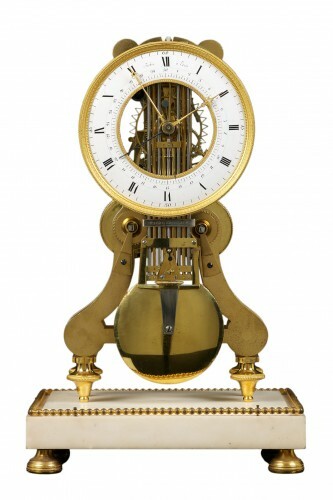 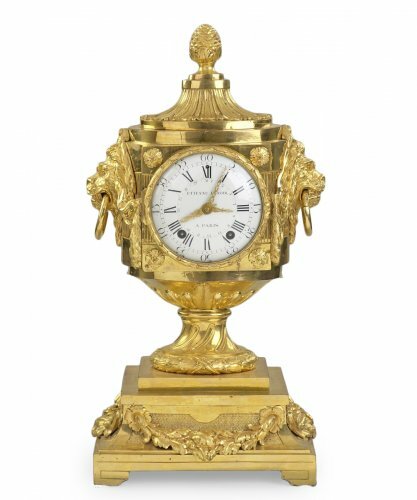 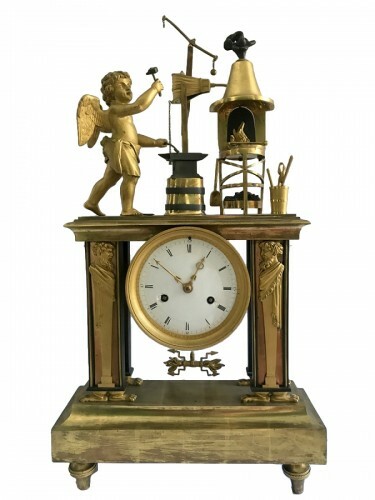 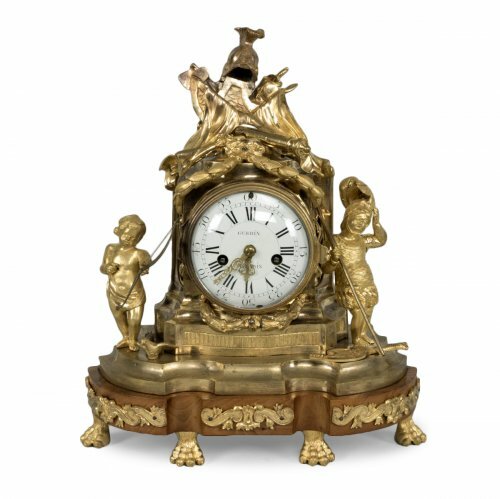 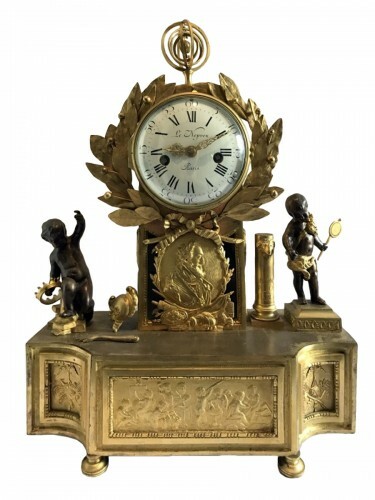 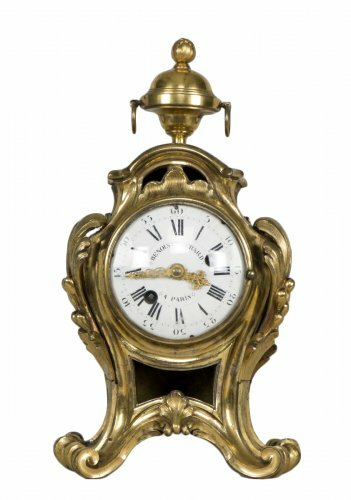 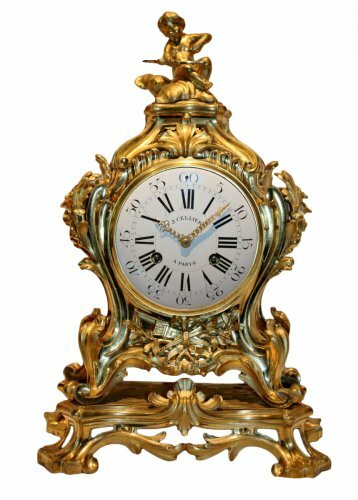 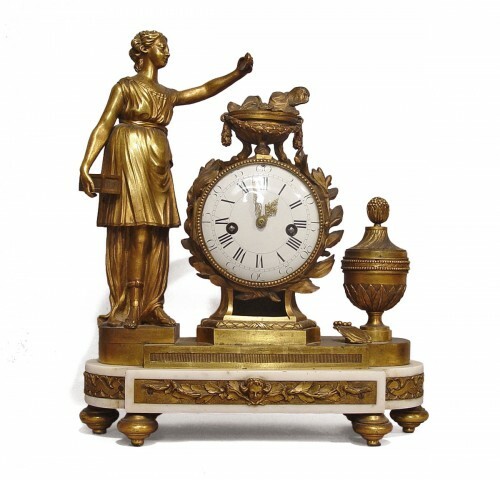 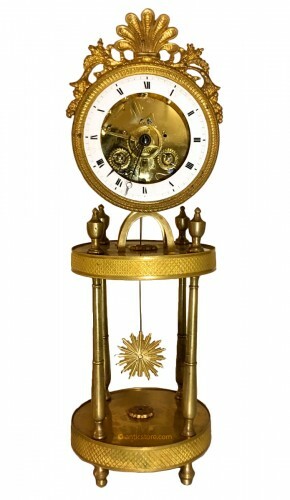 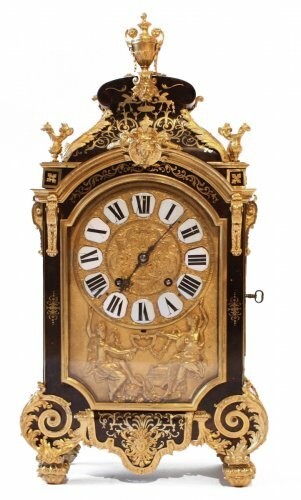 French Régence period "Pendule de Cartonnier"
The 18th century clock celebrates the exceptional workmanship of the artisans of its time. 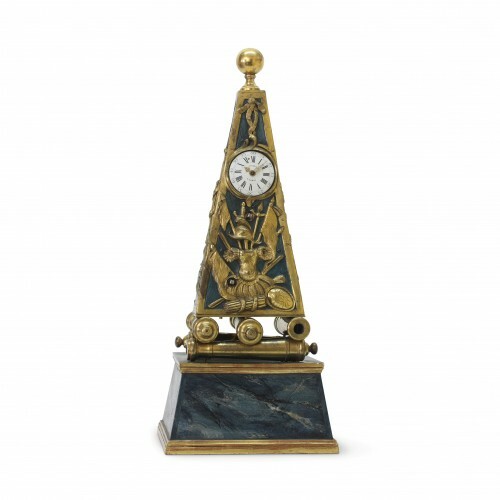 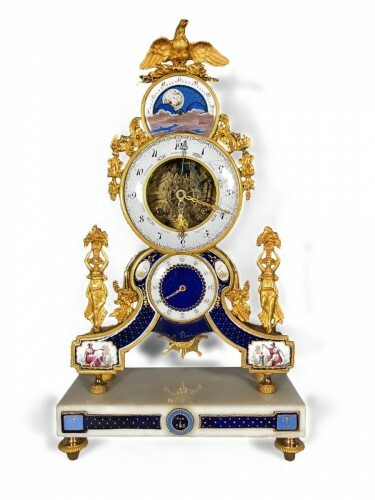 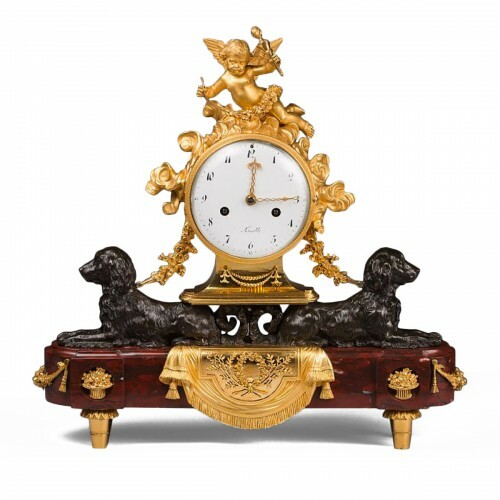 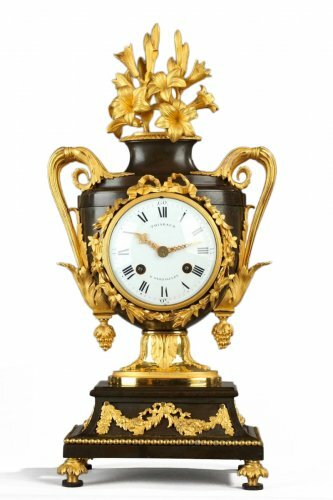 With increasingly sophisticated mechanisms, finely crafted ormolu and very rich ornamentation, the 18th century clock is a true virtuoso masterpiece. 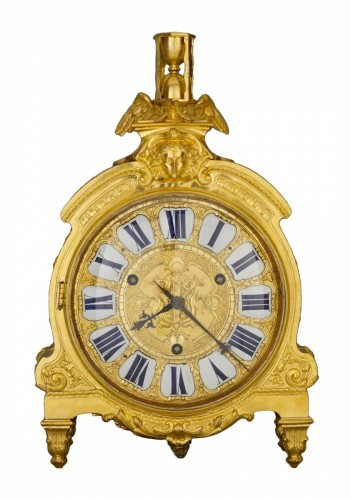 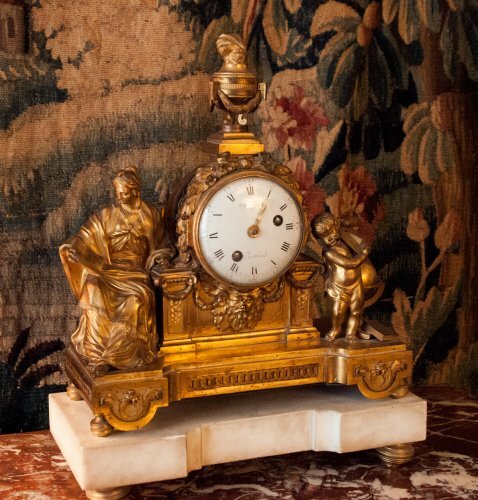 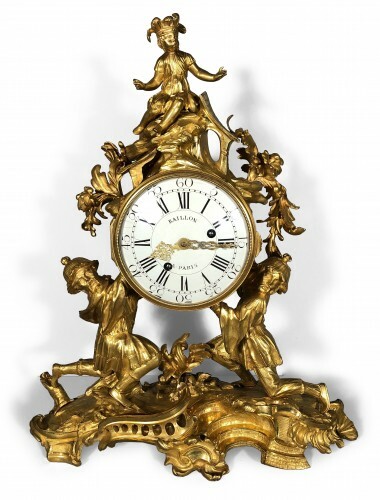 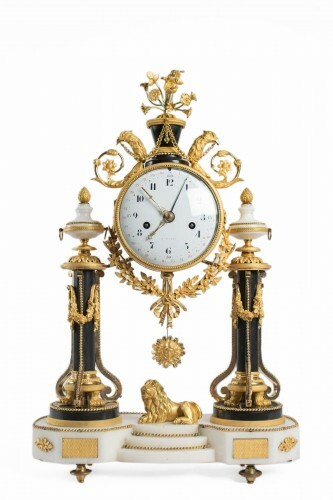 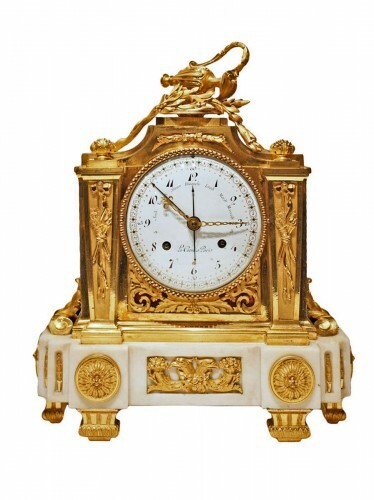 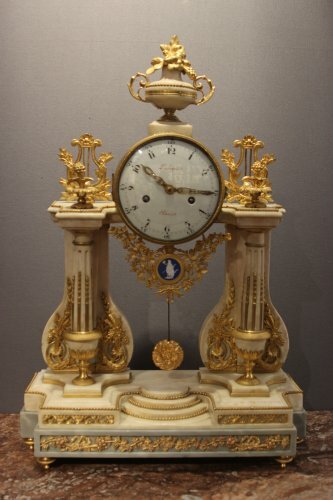 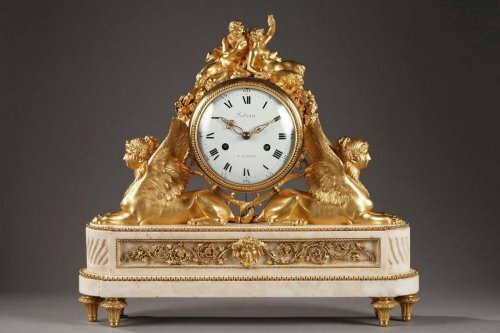 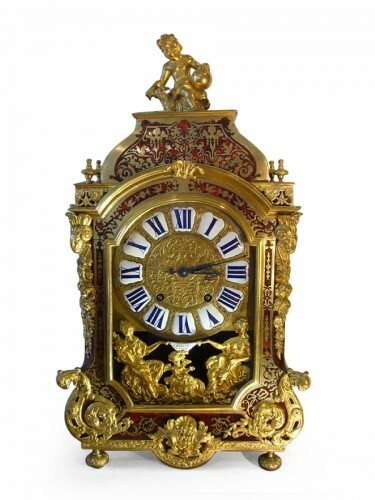 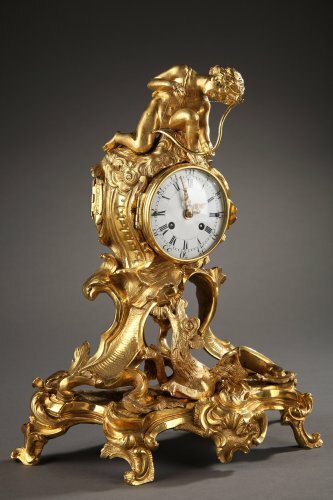 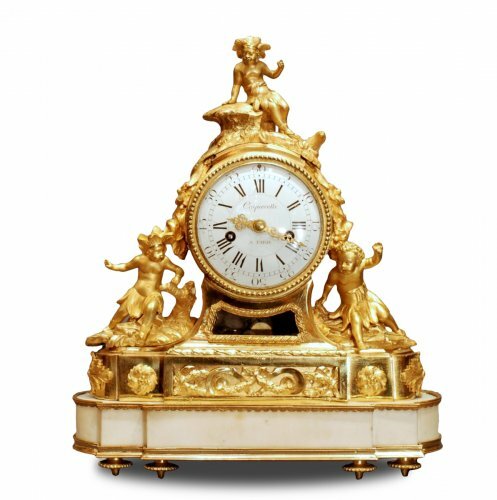 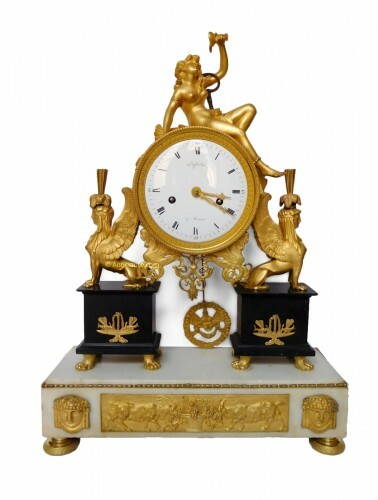 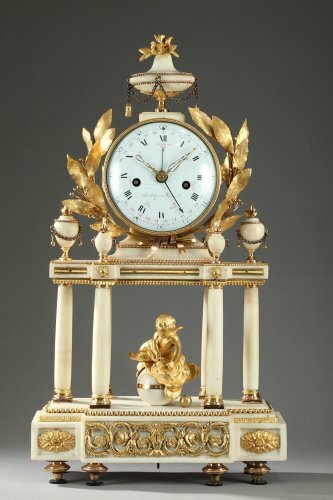 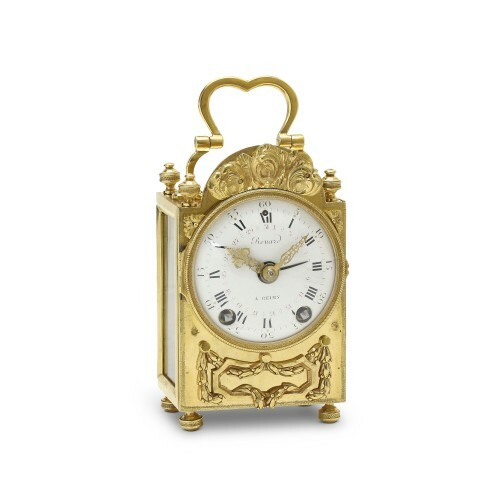 Under Louis XV, the clock features asymmetrical and animated lines. 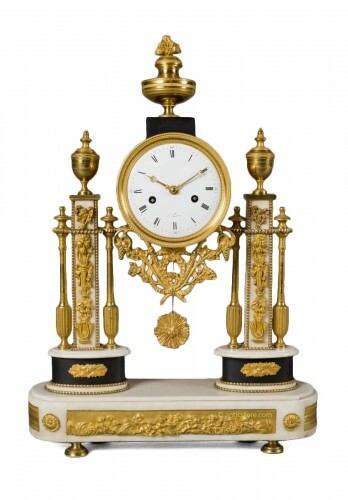 Vernis Martin lacquer and chinoiserie decoration are inspired by the lacquerware of the Far East. 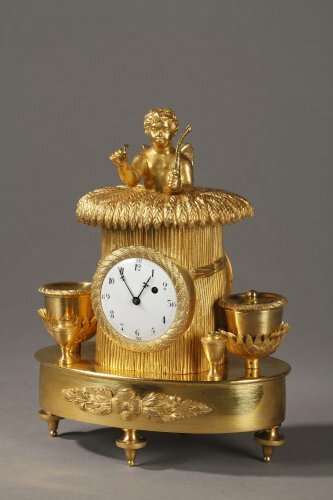 Some figures and decorations are made of porcelain. 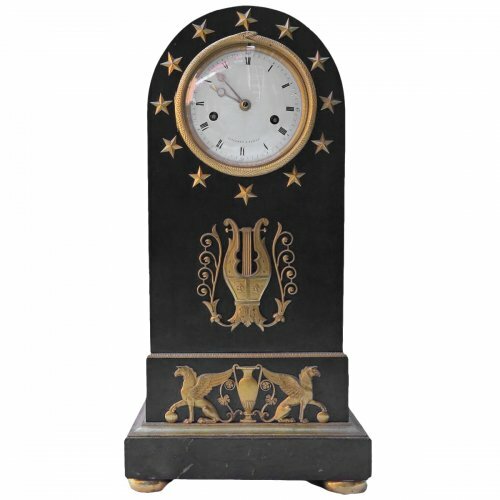 One may find a clock decorated with animals. 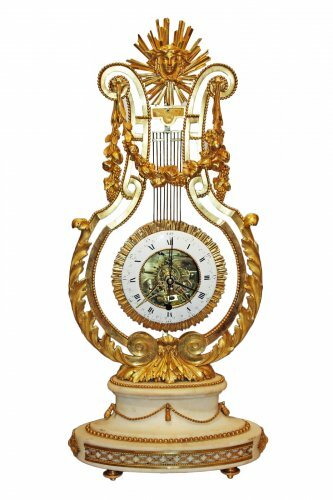 New clocks appeared during the reign of Louis XVI: the casing clock, the skeleton clock, the portico clock and the mantel clock. 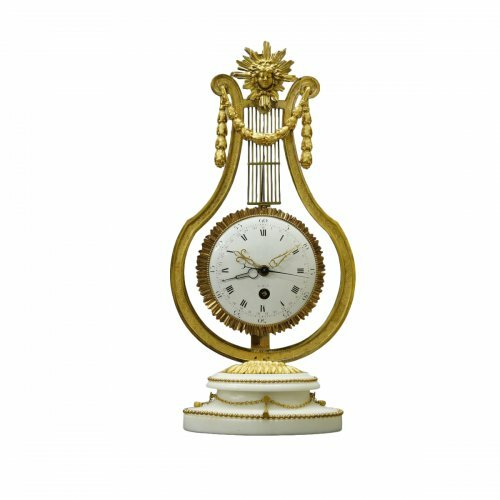 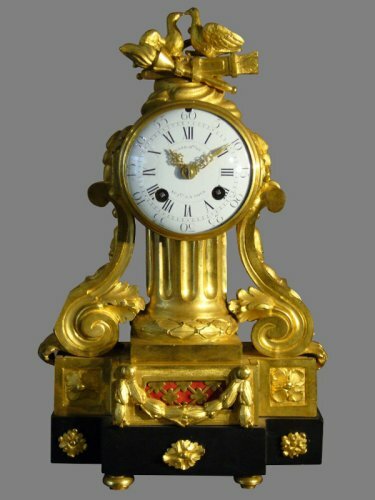 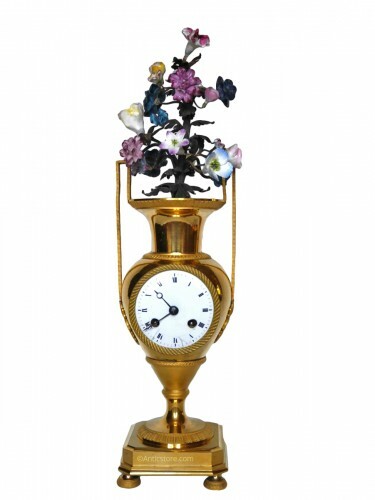 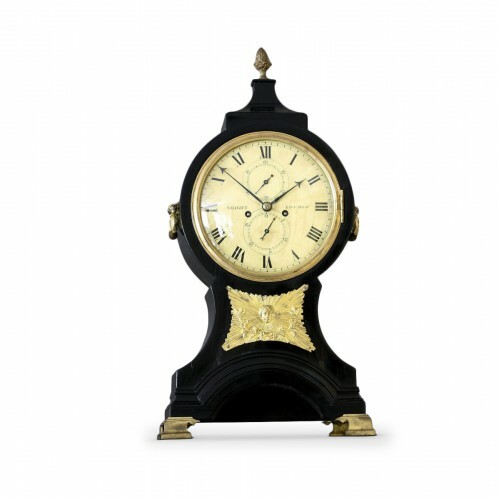 The Directoire style is for its part associated with a new type of 18th century clock: the pendule au nègre or "blackamoor clock". 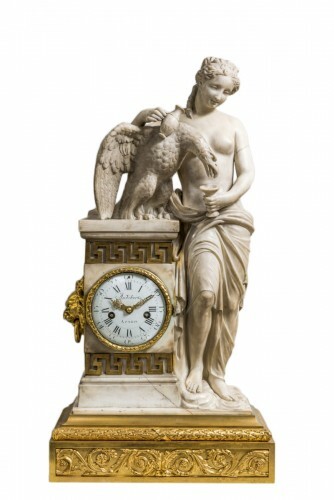 Here the gilt bronze is elevated by the contrasted effect of the posed figure's dark patina.